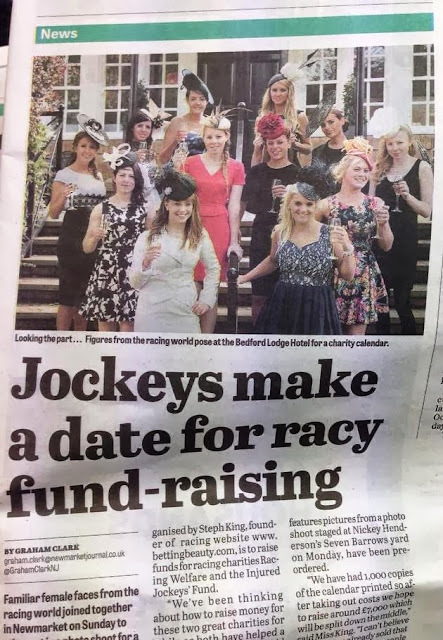 Unfortunately I did not attend The Boylesports Ladies Day at the July Festival but from the images which I have seen, the Fashion Stakes were definitely high. Maria Cheslin who had travelled from Southampton, looked truly magnificent. Her dress was from Karen Millen and her hat was made specifically to match by her friend Dawn Guibert. 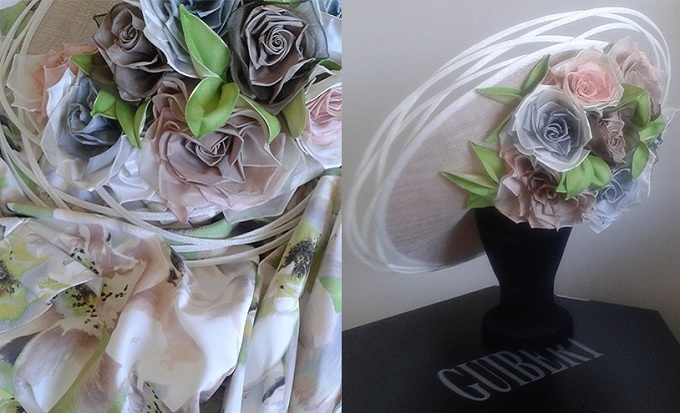 Dawn Guibert is based in York and has been designing and creating hats for the last 20 years. Her designs are unique and beautifully sculpted pieces of art, and it is no surprise that they can be seen adorning the heads of many celebrities and some of the most influential women in the country. The colours in this hat match the dress perfectly. It was no surprise to me at all that Maria Cheslin won 'best dressed' at Newmarket. Many of her beautiful designs can be seen on her website, along with her contact details. Lizzie's Hats and Get Ahead Hats stock many of Dawns designs to hire so they are definitely worth a visit. Heidi Jacobs-Farnsworth and her friend Alisha Foley also stood out from the crowd co-ordinating their outfits perfectly with a splash of orange. Their hats were made by Miss Foley's sister Michelle - Who is also a very talented milliner - for more information on Michelle's hats visit Hairfascinators. 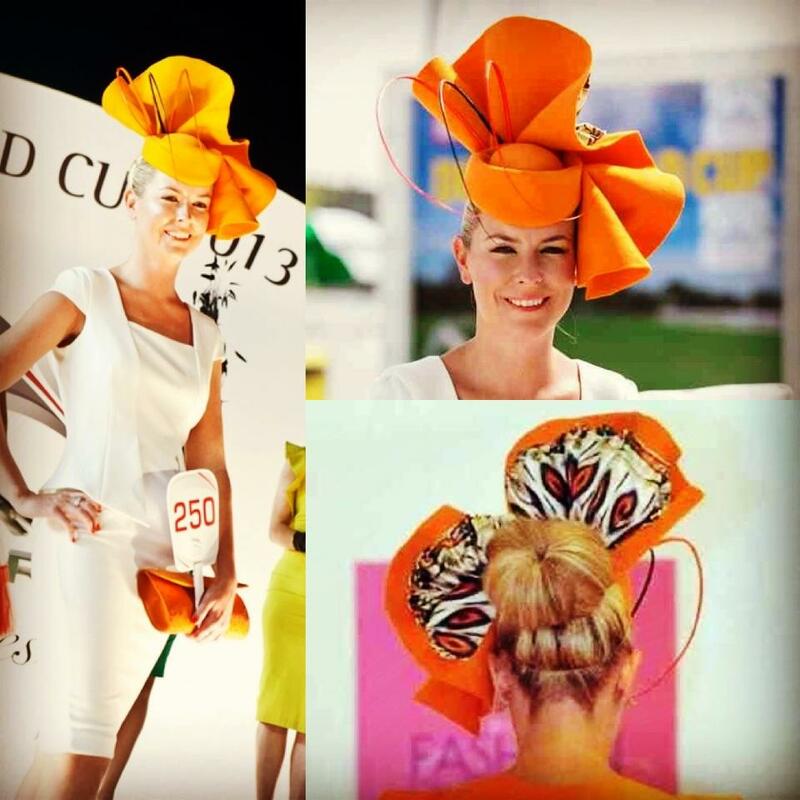 Alisha also wore the above hat earlier on in the year when she won best dressed lady at The Dubai World Cup. 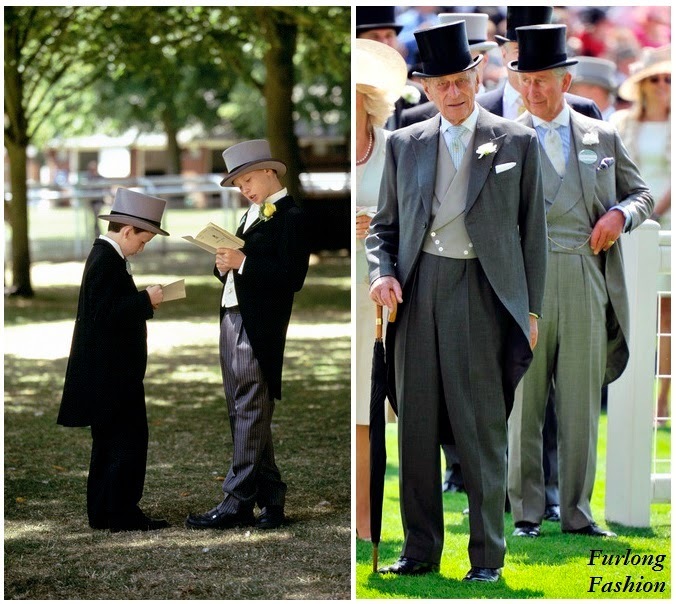 The Gentlemen were not left out at the July Festival with Friday being Dedicated to Gentleman s Day. And the Fashion on show did not disappoint with Gentlemen spotted wearing a variety of ensembles from Linen suits to keep cool in the heat and smartly tailored Three Piece Suits to Mix and Match Jacket / Trouser combinations. Hats were not compulsory on Friday or Saturday, so I chose to wear a white dress from Reiss which has seen just about every racecourse in the country, Sunglasses from Chanel, Prada shoes which look like they are the most uncomfortable shoes in existence but I promise I could probably run a marathon in them . (Please do not take me literally as I will leave the Marathon running to Jockey and Assistant Trainer Katie Margarson). My outfit was completed with a beige Chanel bag and a YSL bracelet. Scott was wearing a Three Piece Bespoke Suit, a Shirt from Charles Tyrwhitt and accessorised with a Tom Ford Tie, Pocket Square from Crombie, Classic Church's shoes and Persol Sunglasses. The winner of the Best Dressed Gentleman Competition made sure he stood out from the competition by wearing Green Chinos with matching Green Tie as shown below. The newly revamped Owners and Trainers Marquee opposite the parade ring was very impressive. 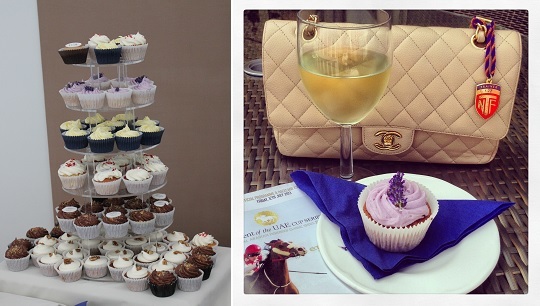 It was extremely contemporary with white leather seating areas and the added touch of the most incredible cup-cakes. Congratulations were also in order to Katie Margarson and her team winning the Duchess of Cambridge Stakes with Lucky Kristale. I have been unable to find out who won the Best Dressed Couple competition on Saturday at Newmarket as I was not in attendance. On Saturday I was at Chester Racecourse with Dr Red Eye who was competing in the listed race. 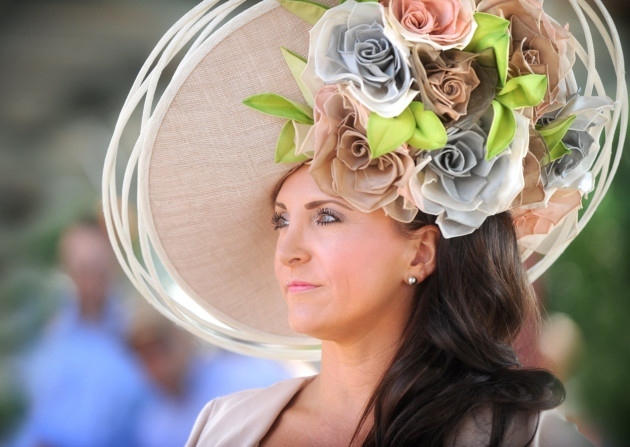 Chester Races were also holding a Best Dressed Lady competition. 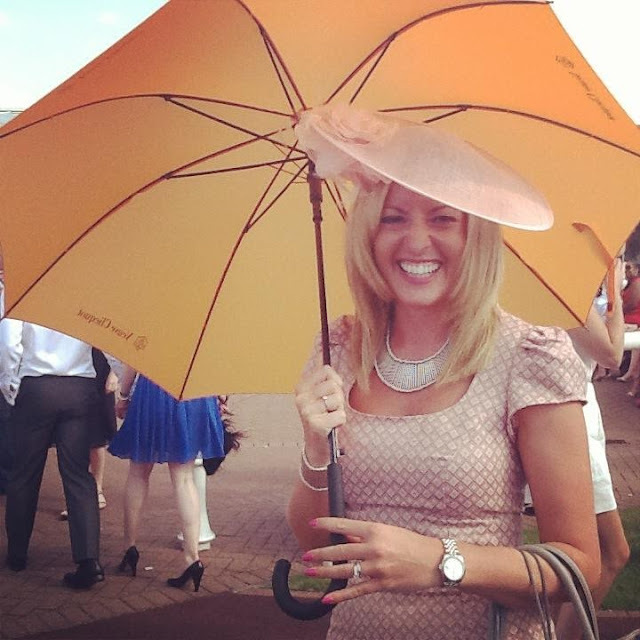 You will always find some of the best dressed ladies in racing at Chester Races with every race-goer putting a huge amount of effort into their appearance, so it was no surprise to see numerous ladies wearing hats of all shapes and sizes. With the men making sure they are not left behind in the fashion stakes. Chester Racecourse has a strict policy that ties must be worn on course so you will often find ties being bought on the gate to ensure entry, this also results in some odd Tie / Shirt Combination. We almost managed to make it into the winners enclosure with Dr Red Eye leading the race until the final furlong and just getting beaten by 1 length to finish 3rd. 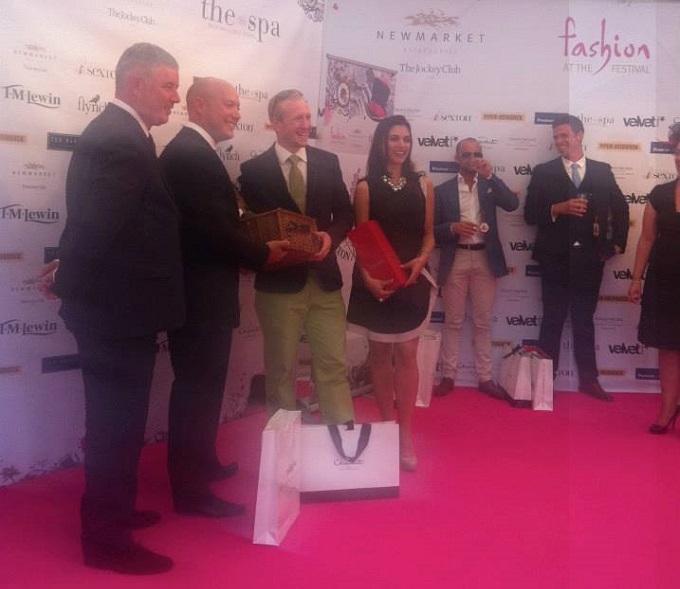 In conclusion it was a fabulous weekend of exciting horse racing and fantastic fashion.